Finding your Venus sign is an important part of understanding yourself with regards to relationships. This understanding will reveal to you how well you perform when it comes to falling in love with partners of other sun signs. Well, what about your Mars or passion sign? Do you have any information relating to what’s your Mars sign? 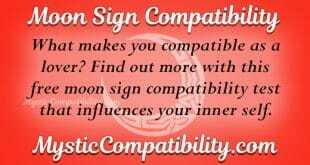 Unlike the Venus sign, Mars sign defines your zeal in any love affair. 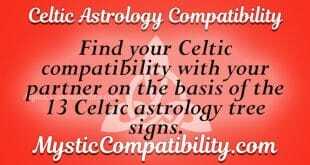 This means that, you can gauge the sexual energy that you have through your passion sign. Undeniably, people show varying ways of interest in the relationships that they are involved in. There are those that would bring intensity whereas others would easily get bored. You can understand whether you bring intensity or not by knowing where your passion sign lies. Your Mars sign will also unveil to you the aggressiveness that you portray in chasing your dreams. According to astrological studies, Mars is the God of war. Hence, the placement of your Mars sign will also give you specific details on how you approach fights. Without doubt, some lovers would choose to use their fists. Others will use their tongues to fight their battles. From this, it is evident that you can comprehend whether you will be using fists or your tongue in fighting trouble in your love affair. The strengths and weaknesses that are associated with the way you fight would have either positive or negative impacts in your relationship. For example, those that are too aggressive can be regarded as impulsive lovers. On the other hand, lovers that are not aggressive could be perceived as boring. The Mars sign calculator is there to help you in getting info relating to Mars placement depending on your zodiac sign that you were born under. Results are obtained in seconds. So, how do you interpret the placement of Mars in your birth chart or your passion sign? Try the above passion sign test right away! Mars in Aries defines this lover as a spontaneous individual. Their way of life is to keep moving forward and never looking back. They would easily fall in love with individuals that are fast paced. This applies to all sectors of their life. They would also tend to be impulsive and make rushed decisions. They consider this as the best way of taking advantage of open opportunities in life. Their fiery nature brings in the aspect of passion in relationships that they indulge into. Placement of Mars in Taurus birth chart reveals the fact that this lover is patient and slow to anger. Nonetheless, be careful not to push them to their endurance limits, they can show the worst form of anger. With regards to their goals, they have a clear focus of what they want and how to get it. Settling down with a Mars in Gemini zodiac sign will require a change of gears from time to time. Equally, one would have to understand the fact that they are unpredictable. The negative attribute about this lover is that they lack seriousness in the love affairs they enter into. If you are a wordsmith then this is the partner to settle down with. The intuitive nature of Mars in Cancer zodiac sign brings in passive aggression from this lover. They are rarely interested in things that have no impact on the relationships that they are involved in. In terms of aggression, they can show their worst side when their lovers are offended. They are overly protective and would love to secure what belongs to them. Mars placement in Leo zodiac sign indicates that this lover is among the most passionate signs ever. They would try their best to show their passionate sides in their relationships. They are risk takers and that they would do anything that appears lucrative. This applies even to their life’s goals. Nothing would seem impossible in their eyes. The disciplined nature of Mars in Virgo zodiac helps them to accomplish their diverse goals. Yes, they are ambitious. But it can be difficult to know the specific goal that Virgo hankers to achieve. In love, they would be patient for love to play its role in the relationship. This is because they believe in the fact that patience pays. 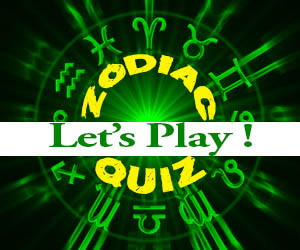 It is never easy to understand the Libra Mars sign when it comes to their passionate natures. At one point they might depict that they are loving and the next minute they are thinking otherwise. Well, this is their nature; they weigh the pros and cons of a certain relationship before giving it their all. Ultimately, with time they adjust and bring out their aggressiveness in relationships they enter into. Mars in Scorpio depicts a lover that is soft and humble on the outside. Deep inside, this lover is full of emotions. Nonetheless, they show compromise when things are not flowing as expected. The energy that boils in them also guarantees that they successfully achieve the goals that they have set for themselves. Expect patience to be absent in the Mars in Sagittarius lover. They lack patience for routine activity. If you are not careful with their unending anger, there is a possibility that you might call it quits in the early stages of your relationship. Keeping up with them will demand that you comprehend the fact that they are unpredictable. One minute they would have fun with you and the next minute they would be focusing on another aspect of your relationship. Therefore, it is up to you to find a path that Sagittarius likes to walk on. Mars in Capricorn indicates that this lover would do anything to ensure that success comes their way. They are slow paced and they believe in the notion of one step at a time. They have a sense of practicality that keeps them fully focused on their goals. Life is full of surprises to the Aquarius lover. It is for this reason that it would even be difficult to pin them down. Their airy aspect makes them quite unpredictable. The best form of love according to the Mars in Aquarius’s natal chart is that which is modernized. Aggression comes out passively from the Pisces in Mars lover. In relation to matters of the heart, they bring intensity to relationships that they enter into. This is what makes other lovers get excited about love affairs with Pisces. You only need to be wary of their jealous streaks as they tend to be possessive. From the above Mars sign or passion sign placement of the different zodiacs, you should be in a position to gauge the intensity that you expect from these sun signs. When settling down with other lovers, this information is crucial in understanding what you should really expect from your lover. Would they be intense? Or would they easily get bored with the love affair that you share? Alternatively, you can also get a deeper insight on the aggressiveness that your lover portrays. This can be in terms of love or in terms of the goals that they have set for themselves. 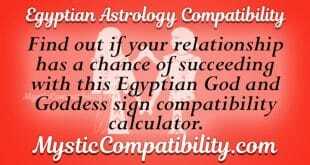 Get you free Mars sign or Passion sign reading to know more.